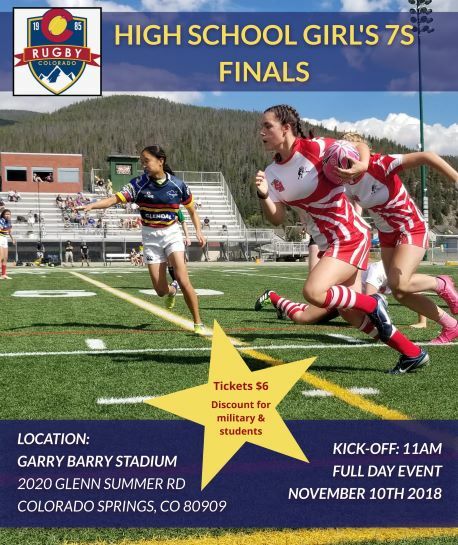 Warm and bright with a bit of wind at Kingdom Park, and a backdrop of the Rocky Mountains Ten Mile Range made for an ideal rugby playing and viewing experience Saturday. Better for some than others as the Goose and the Boat battled on the Upper Deck in a cool Mountain Rugby League match during the last action of the only continuous, 15-a-side competition that can be had in the American summer. Steamboat captain Jason Troyer with a strip at tackle, spin and burst to space and on to goal for the early grounding and it was 5-nil to the Boat with four minutes gone. The visitors were quick to the breakdown and sure with possession maintenance, and a scant five minutes on Steamboat’s flyhalf, Heath Forsyth, dummied through a gaper at Breck’s 22 and raced to goal for his own conversion and the Goose were down by a dozen. Turnover ball to the travelers and Breckenridge distinctly at sixes and sevens. Steamboat with a quickly-tapped penalty ten meters from joy and Forsyth once more with swift incision and his dot brought tallies to 17 and zero after 13 minutes of action. Now Breckenridge with concerted effort, pick-and-goes for one and two meters in the tight alley from breakdown setting the stage for a pill served up to inside center Rod Waters 25 meters out of the Steamboat goal; Waters with determination, spinning and lunging, banging through the defense to close in the corner and it was 17-5, favoring the Boat in the 18th minute. Steamboat right back at it after the restart with a quick lineout in their own half, and a swervy-jinky line run by fullback, Kit Callahan, for 50+ meters; the 15’s touch down followed by an added deuce by openside Taylor Anderson and Steamboat had stretched their lead to 19 with scores at 24-5 midway through the first forty. Visitors cocky-sloppy with the funky and errant, one-handed offloads just now and Breckenridge settling the defense and enjoying better movement when keeping it low and tight with close surges from breakdown. Steamboat’s big man, Jack ver Plouge, scooped the jouncer off the deck and broke to space at his own ten meter line, displaying impressive pace for 40 meters before offloading to a cohort of sure-handed comrades, the pill seeing many paddies on its way to center Brendan, “The Rigger” Ridger who finished for a fiver and the significant figures were 29 and 5 at referee Kurt Weaver’s halftime signal. When Breck kept ball in hand and worked the tight fringe of the breakdown, short and forward surges their payment and much energy expended both sides; Steamboat, on the other hand, looked sharp throughout their pattern with a heady three-quarterline fronting well and consistently. Clouds moved in for the second stanza, but clear the action for the Boat with scores by: scrumhalf Rob Schwarz, converted by himself at the 44th minute and 36-5 the tallies; flyer Mica Barfield, completed by Troyer in the 58th minute; and a last from other flyer, Dave Lenke (and Heath’s plus-two) for a final of 50-5 to Steamboat Springs Rugby at Weaver’s last blast.